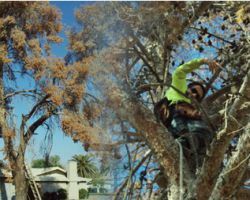 Whether you have an unwanted tree ruining your landscape or an unsightly one, AZ Tree Trimmer is the local tree trimming service you can trust to help you. This team is professional, offers clean work and uses the safest practices. With years of experience they are able to easily assess how to address your situation. 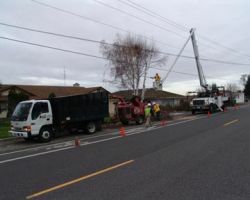 They then work safely to implement the newest tree trimming and removal techniques. They will not tear up your yard in order to complete their work but rather leave the space clean and clear of debris. Top Leaf Tree Service is a small family owned Phoenix tree removal and care service. They specialize in the removal of unwanted or unhealthy trees and offer high quality pruning and trimming too. This company has been serving the home and business owners in Arizona since 2001. They have built their reputation by offering great customer care and flawless work. Calling this small business means being treated like a friend and neighbor and also being informed of everything the technician is doing during their working process. In 1994, United Right-Of-Way was established to provide cost effective tree cutting, removal and trimming as well as weed and pest control. This company works to keep your yard or your commercial property’s landscape as healthy and beautiful as possible. In order to do this, they draw on their experience to assess what needs to be done in order to improve or maintain the health of your landscape. They work closely with their clients to keep their prices relatively cheap as well. 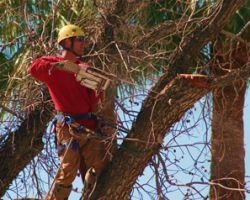 RPM Services Extreme offers tree service in Phoenix, AZ of the highest quality. The first thing they offer their clients and potential customers is a free estimate for the work. They will always make sure that the estimate they give you is as close to what the final bill will be as possible. You can also count on this rate being affordable. 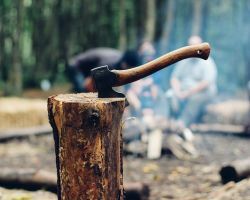 As one of the best tree care companies in the area, this service covers everything from tree trimming and thinning to tree removal, tree cutting, and stump grinding. Phoenix Tree & Landscape is the only company you should call when you need tree care at a price that suits your budget. 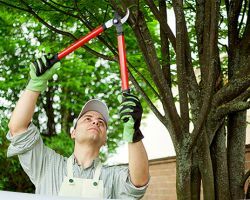 As tree pruning contractors, this company knows what needs to be done in order to make your landscape look its best. They also offer tree removal services, which mean that these technicians know how to work safely and efficiently to eliminate unusual looking or unhealthy trees. Reviews say that some of the highlights of working with this company include their low prices and impeccable customer service.